Google has had an interesting week and it’s only Tuesday. They have extended their default search engine relationship with Firefox until 2011 and released their own open source browser called Google Chrome to compete with IE, Firefox, Safari and Opera. In fact as a test of the new browser, I’m writing this post in Chrome. Chrome has some cool features starting with a very minimalistic UI. I’m already in love with the browsers minimalism. The WebKit rendering engine is smokin fast. So far it has done a good job of correctly rendering all the typical pages I visit. The address bar also acts as the search dialog which is a really simple but smart idea. It saves real estate up at the top of the browser. Same idea for their application toolbar. It only appears when you start a new blank tab, then goes away. Smart. No Way to synchronize bookmarks across multiple browsers. I’m a bit surprised that Google did not tie the browser closer to a users Google account. Your Google user account would be the perfect place to store a master list of bookmarks that would automatically be established each time you setup Chrome on another machine. Since I use three different physical machines and a bunch of VM’s in a single day to do my job, bookmark management and their continued synchronization is a big deal for me. Firefox has the Foxmarks plugin to handle this issue. Sometimes you’ve just got to get the job done and that job requires IE. You don’t have to like it, but you have to use it. In Firefox if a website does not behave itself properly I can use the IE Tab plugin so that page and all subsequent child pages are rendered using IE instead of Gecko. The Beta Only Support Windows XP and Vista. I like competition and Chrome has the potential to push the browser industry forward at a more rapid pace than any of the established players would be comfortable with. So for now, Chrome has found a place on my RocketDock toolbar as a browser to keep an eye on. There have been a couple funny Blue Screen of Death sightings that have appeared in the press recently that I just couldn’t pass up sharing. The first was a Wired article about the Sheraton Hotel chain rolling out the Microsoft Surface table. While this might not be a true Blue Screen of Death it sure looks like it! The second Blue Screen sighting was reported by Gizmodo about the torch lighting at the opening ceremonies of the Olympics. Good thing this computer wasn’t controlling anything critical! I’m moving further into the cloud. The internet cloud. Wikipedia is defining Cloud computing as a style of computer “where IT-related capabilities are provided as a service”. I started with Google Docs. Storing my checkbook register (an excel spreadsheet), some Power Point presentations and some PDF white papers I always find myself looking for. I want access to these documents quickly and easily from any and all computers I might happen to have available to me even if only for a few minutes. My move further into the cloud happened when I had to decide if I was going to put additional Network storage on my home network or lease secure disk space somewhere in the cloud. We’re at 2 terabytes and climbing at home already. Some of the disks have been spinning for a few years so I wouldn’t trust critical or archive data to them. Truly archiving data means having it mirrored on at least two different disks if not on a DVD as well. I decided to roll with the Amazon S3 service instead of buying more disk that I have to maintain. Amazon S3 is a simple web service that can be used to securely retrieve any amount of data, at any time, from anywhere on the web. Amazon does not provide a front end to the S3 web service. It is intentionally built with a minimal feature set. For a front end to the S3 service I decided to use Jungle Disk. Jungle Disk supports Linux, Max, and Windows (including Vista) platforms as well as USB sticks. It makes the Amazon S3 service appear as a network drive on your machine where you can drag and drop or copy files. One of my major complaints with approaches like this in the past has been that passing lots of info or large files over the network takes time and can be process intensive depending on your OS (this is really the kindest way I could put this without saying Windows slows to a crawl). Jungle disk has solved this. It caches the files local on your machine and slowly feeds the bits to the S3 service as CPU and bandwidth are available (configurable). To the end user it makes the copy to the Network drive look instantaneous. The software also comes with a backup routine where you can backup selected folders. The software is 20 bucks with life time upgrades. You pay for the Amazon S3 service monthly. The rates are reasonable. Storage is $0.15 per GB-Month of storage used. You also pay a small data transfer fee for incoming and outgoing data transfer. Amazon provides a fee calculator to figure out your approximate costs. If you think about what hard disk space costs to install and mirror (for a true archive) as well as administer, the fees keep looking better and better! I’m willing to pay for good service and zero headaches! So what’s left on my Network Storage at home? VMware images. Lots and lots of VMware images. Large files that are I/O and bandwidth intensive are not the type of thing I’m looking to store out in the cloud…..at least not yet. Next thing on my list to explore is Amazon EC2. The topic of a future post I’m sure. The Arbortext crew in Ann Arbor is getting a new workspace. As I write this, many hardworking and dedicated employees at 1000 Victors Way are packing up their offices and preparing to move down the street to a new building. Victors Way — what a noble address! I first came to the four-story building 11 years ago as a potential customer. It was the middle of the December, and I was meeting with a sales rep and some lead engineers to show them a proposal featuring Arbortext. I remember Ivan, my sales rep, later telling me that everyone was eager to meet someone willing to come to Ann Arbor in December! But that kind of openness and innovation is what gave Arbortext the reputation it maintains today — fiercely dedicated to standards and open at all levels of the organization, from the CEO to the engineer that built a feature. Eventually, I joined Arbortext as a consultant, and it was one of the best decisions I’ve ever made. In addition to an amazing career, I’ve gained a wonderful extended family. When I came in for my job interview, it took my interviewers 20 minutes to get me to the conference room because we kept running into people I knew along the way! Ever since I became part of the Arbortext team, returning to Ann Arbor (no matter what the season) has always felt like coming home. I see friends that I stay in touch with but don’t get to visit with in person very often. I make sure to stop by every office, no matter what floor, and chat with people that I’m genuinely happy to see. One of my earliest major assignments at Arbortext involved creating one of the first linkbases in existence. At that time, the XLink standard was brand new. During those early days, I often found myself standing outside in the middle of the night next to one of the walkway lamps that light the entranceway. I’d look up at the ARBORTEXT sign on the building while I smoked like a chimney and prayed that the application would actually work! Eventually it did work, but only after some pain and suffering. The four floors of 1000 Victors Way represent more than a decade of my life. Although the facilities in the new building are far superior for the Ann Arbor crew of today, I will always look back at the Victors Way building with fondness, and I will stop by when I’m in town. 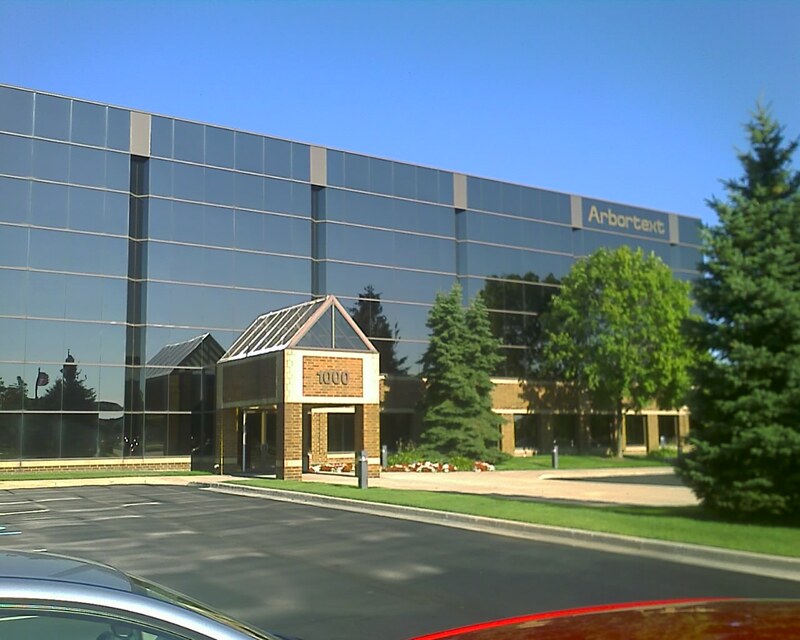 The Ann Arbor crew and Arbortext customers should be proud of what was accomplished within those walls, and I hope they are as excited as I am about what will come out of the new facility. I can’t wait to reflect on what happens during the next decade. I’ve been trying to figure out why my desktop has slowed to a crawl this past week. Everything was taking way to long and mouse movements were choppy. 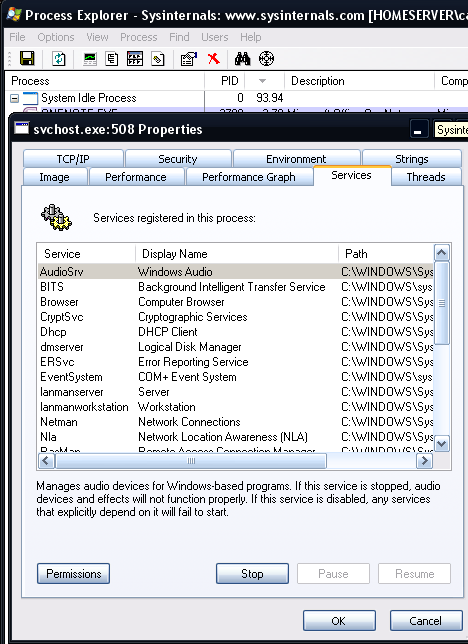 After staring at the task manager process tab for awhile it appeared that something running inside svchost.exe was misbehaving. If I ended the process outright I lost audio and all sorts of other important things. 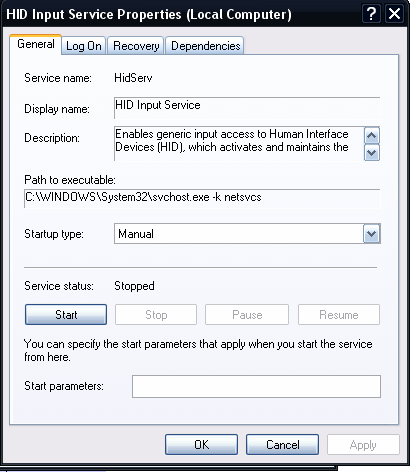 For the uninitiated, the SVCHOST (stands for “Service Host”) processes host services for the Microsoft OS. The services are DLL programs that do something useful. People more commonly refer to them as “drivers”, the things we install to make some peripheral work well and play nice with others. Multiple instances of SVCHOST may be running at any one time and multiple services may be grouped together in one SVCHOST process which makes finding the one stinking service that is not being a good citizen a pain. You’ll notice in this example that PID 508 has a bunch of processes running in it. Now for the tricky task of figuring out which one is not playing nice. Right-click on My Computer, choose Manage. Now choose Computer Management and then choose Services and Applications. Finally choose Services. Now try and match the cryptic Windows service name with the easily readable names in the services tab. Stop the services individually until you CPU meter calms down. There is a much better way to do this. Use Process Explorer. Process Explorer is a tool Microsoft acquired from SysInternals a few years ago. What’s cool about Process Explorer is that it allows you to dig into any Process and Stop /Start process without having to match up Services with Display Names. One by one you turn off the Services and see which one calms down the CPU meter. Once you’ve discovered your problem child, the final step is to go into the Services manager and change the service to start manually if you don’t need it or a fix is not readily available. First aid for computers. Stop the CPU bleeding first. My problem child was the HID Input Service which I don’t need in my day to day life but which I will try and make behave sometime in the future. Info for this post came from a bunch of Google search research. I just decided to aggregate it all into one place. May you never need to use the knowledge contained here. I use multiple machines in the course of my day. My Linux box, my laptop or my home tower. My home tower is the one that is connected to a really nice set of Yamaha speakers and where I keep my iTunes library. 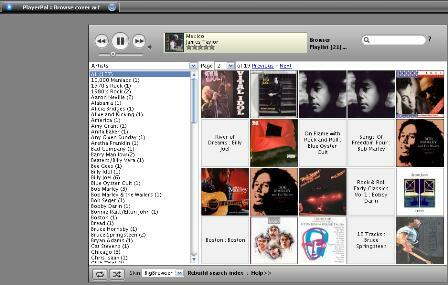 I’ve been looking for a way to control iTunes from whichever computer I happen to be using at a particular moment. I’ve been looking for this kind of control not only to flip through songs, but pause music when phone calls come in etc. The one thing that all my machines have in common is that they are all running Firefox. PlayerPal lets all of my machines connect to my home tower and act as a web remote for iTunes (or Windows Media Player if you’re so inclined… I’m not). So one of my permanent tabs in Firefox on all my machines is set to PlayerPal. Really geeky I know, but since my Smart Phone can connect to my wireless network, I can even use that as a portable remote control as I walk around my house! I’m a big fan of vmware and run the majority of my development and test environments off of two physical machines with lots of memory and disk space. I usually create what I call base images of say Ubuntu or Fedora with all the updates and then make copies of the virtual machines for specific uses. This approach has been great but I’ve still got to the actual work of taking a base image and making say a subversion server…. Till now. vmare has introduced the Virtual Appliance Marketplace where you can now find specifically configured machines all ready for download! Want a Fedora 8 image? One is available. Want a small Linux image? Try the “Damn Small Linux Virtual Machine“. Want a machine that is specifically configured as a subversion server? They have one of those too. I might even give Sun Solaris 10 a spin (I’ve never been able to configure Solaris in vmware right but now that I don’t have too…) The machines run in vmware workstation, player and server. To the geeks that like setting up operating systems, I salute you! This is a test of a new Blogging Client for WordPress called Deepest Sender. To see how well it works.